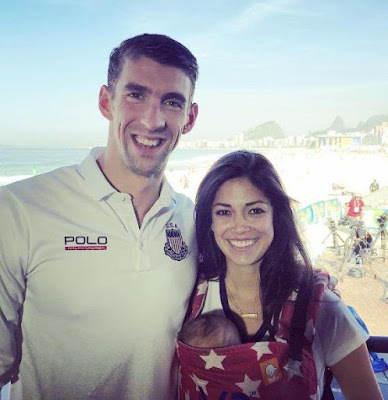 Olympic champion, Michael Phelps has been secretly married to his fiancee, Nicole Johnson since 13th of June 2016. 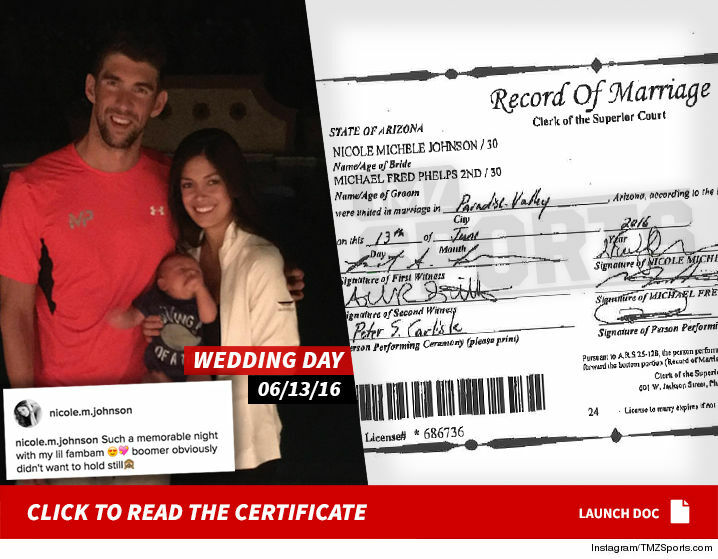 TMZ exclusively gathered that the couple had their wedding ceremony at Paradise Valley, AZ, where they just moved to. The wedding was officiated by Michael's agent and longtime friend, Peter Carlisle. Michael and Nicole got the marriage license June 9th and filed the Record of Marriage June 15th. "Its fascinating during Olympics everyone reporting they were engaged, they had already married for two months. We did find a clue ... on June 13th -- their wedding day -- Nicole posted a pic of the 2 of them casually dressed with the baby in tow with the caption, "Such a memorable night with my lil fambam."